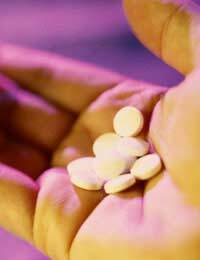 Statins are a group of medicines that are designed to lower lipid levels. They are given to many people across the globe, not only for those with known heart conditions, but for those with high cholesterol as a preventative measure before any specific illnesses develop. Although cholesterol is given a lot of bad press, it is an essential substance already found in the body and is needed to maintain the membranes within cells and to help in the production of other substances such as hormones. If there is too much cholesterol in the body however, there is a chance it can exacerbate the development of many problems of the heart and vascular system. Statins are given to those with high cholesterol and work by preventing the production of cholesterol, meaning that the cells must find the cholesterol necessary for its natural production in the bloodstream. This has the effect of lowering the amount of cholesterol in the blood. By doing this there is a lot less chance of developing blockages in the blood vessels which lowers the chance of heart and vascular conditions. Why are They Given to Heart Patients? When there are high levels of cholesterol in the blood stream, it can collect within the blood vessels causing them to become narrowed or blocked. This is bad enough when in a peripheral artery, but can be lethal if it occurs in the coronary arteries. These are the vessels that provide the blood supply to heart muscle. If they become narrowed, blood struggles to get to the tissue meaning the oxygen level in the tissue becomes depleted and it is at risk of dying. If the coronary arteries become completely blocked the chance of suffering from a heart attack is very high. By helping the blood cholesterol to drop the arteries are not only more protected from becoming more blocked, but may in fact force the cells to take their cholesterol from existing supplies and reduce any existing blockages; this can help reduce the damage that has already occurred. These advantages will only provide benefit to the person if they amend their lifestyle and reduce the amount of cholesterol they consume. This will mean that dietary content should be revised and any smokers must give-up in order to protect their long term health. If they are taken correctly, statins very rarely produce any troublesome side-effects and they are used by many thousands of people every year. As they work predominantly in the liver as this is where cholesterol is mostly made, they can have the ability to affect your liver function. Most GPs will insist that you have your liver function tested before you commence statins to assess whether you are a suitable candidate for the drug. It is also likely that this will be tested at regular intervals to check whether they are having a negative effect on the liver cells. If you experience any other symptoms you must tell your GP as minor adjustments to your dose may be enough to reduce them.All medicines carry a risk of an allergic reaction and the risk of this is low with statins. Statins are an excellent way of reducing your blood cholesterol levels and protecting your health. Always take as directed and make sure you understand how your lifestyle should be adjusted in order to get the most benefit from the tablets and prevent any future heart conditions from occurring.